As competing vacation rental websites introduce new fees, HomeEscape.com sees traffic growth increase by nearly 2000%. HomeEscape.com is quickly becoming the popular alternative to traditional vacation rental sites that charge usurious fees. HomeEscape’s growth is fueled in part by consumer’s mistrust of industry incumbents; growing fees stand to threaten the tight profit margins of vacation rental owners. “We understand the plight of the users in the online vacation rental space – HomeEscape is our answer to this need,” Vaknin stated. HomeEscape is expanding quickly due to competitor’s usage fees increasing. With the introduction of higher fees from other popular vacation rental websites, both homeowners and travelers alike are seeking a more affordable solution for their vacation rentals.In just the past month, HomeEscape has shown a 2000% increase in site traffic and has tripled its number of registered users. 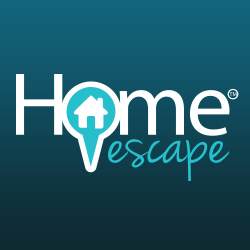 About HomeEscape: HomeEscape connects homeowners and property managers with travelers who seek the space, value and amenities of vacation rental homes as an alternative to hotels. With detailed property descriptions, photos and list of amenities and nearby attractions, HomeEscape makes it easy to find and compare properties all over the world.